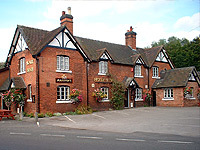 the holly bush is the only pub in the derbyshire village of church broughton. large, comfortable lounge and seperate dining room, spacious beer garden and outdoor seating. Church Broughton is situated in the peak district in Derbyshire about 15 miles west of Derby. for more information why not visit the church broughton village website.